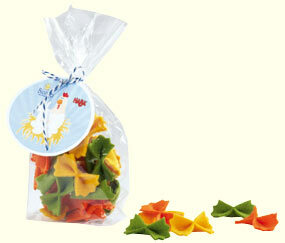 Farfalle noodles! Just add some Haba carrots and peppers and - wow - a gourmet dish! Made of felt. Noodle measures 1.5" long.